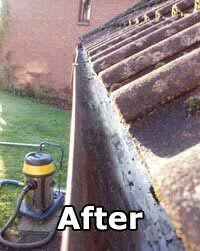 As it says on the tin - We Clean Any Gutter! Any type any height any house any office! It's that simple. 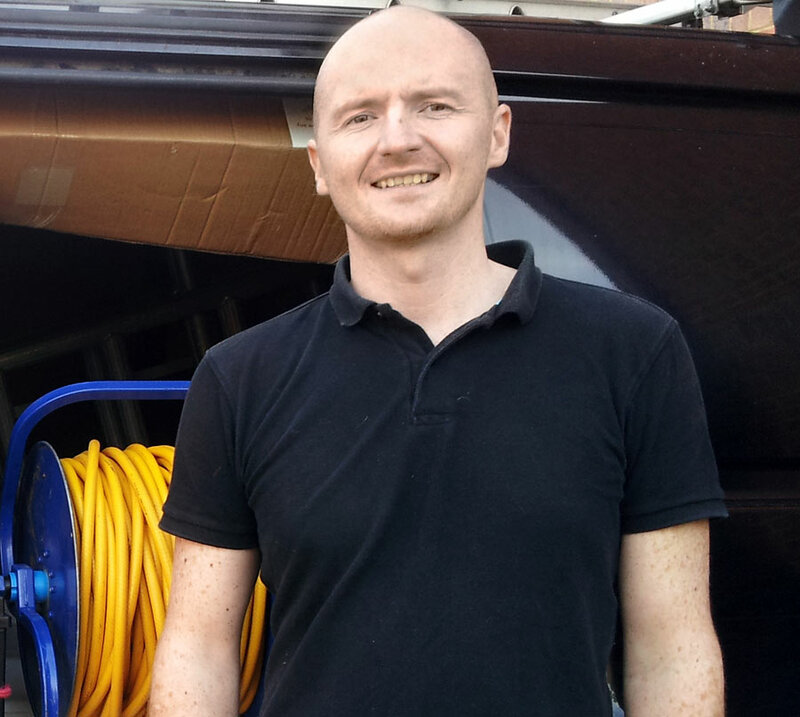 We are a small local friendly Gutter Cleaning company based in Surrey and covering a large area in South East. We specialise in all types of gutter cleaning and repair work. 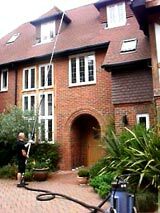 We clear gutters on both residential and commercial properties throughout Surrey, Sussex, Kent and SW London. Gutter cleaning is a job that often get's overlooked as any problems are not visible from the ground. Many people don't like using ladders or don't even own a set of ladders. With our system we don't even use any ladders! Blocked gutters can cause dammage to a property if left unchecked. The inspection and cleaning of gutters should be part of the regular maintenance shedule of any home or commercial property. We use the latest in Gutter Vacuum technology. Using an industrial 3000w wet and dry vacuum connected to lightweight carbon fibre poles all the leaves and debris clogging your gutters are quickly and efficiently removed with very little mess. All rubbish is removed when the work is completed. In order to determine that your gutters are free from debris we utilise a wireless camera attached to a lightweight pole which sends live video down to a monitor on the ground. Before and after images can be provided on request. 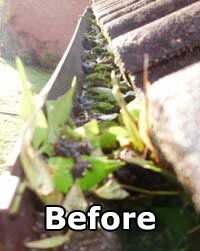 Are your gutters looking black and covered in green algae and unsightly stains? 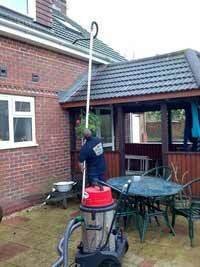 With our water fed pole cleaning system we can clean them with ease from the ground making them sparkle again. 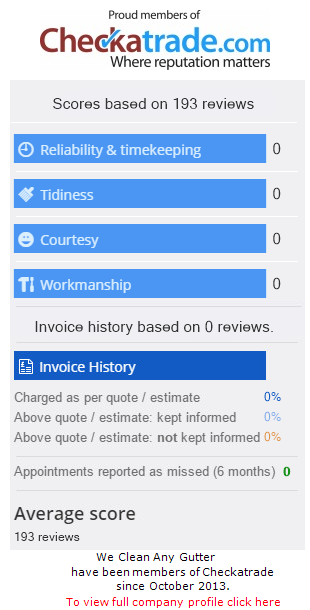 Use the drop down menu at the top of this page to select your postcode area and get your free tailored fixed price quote for gutter cleaning at your property.